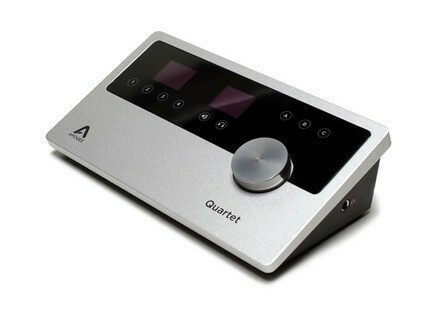 Apogee Electronics unveiled Quartet, a desktop audio interface and control center for Mac. Featuring four inputs, eight outputs, MIDI, top panel display and control, Quartet features the signature single controller knob, QuickTouch pads, and Apogee’s conversion technology. Quartet connects to any Mac via USB 2.0. From MacBook Air to Mac Pro, Quartet connects no matter the machine or sample rate; 44.1-192kHz. Quartet’s four combination inputs offer microphone, instrument and line input with a gain range of up to 75 dB. For additional channels, Quartet’s eight digital inputs create the option of connecting an external interface, like the Apogee Ensemble. Quartet’s six balanced outputs deliver options for the video producer to mix in surround, the live performer to send multiple mixes to monitors and front-of-house and the mixer to send a mix to outboard compressors and EQs. Using Apogee’s Maestro software, the outputs will also split into three stereo pairs for connecting three speaker sets for auditioning mixes across various types of studio monitors. 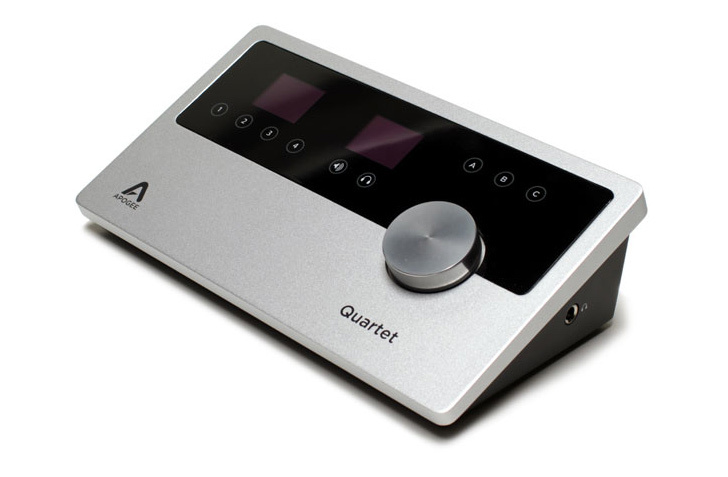 A first for an Apogee audio interface, Quartet includes a USB MIDI connection for connecting a keyboard, synth or DJ controller. Tone2 Audiosoftware Vocaloid for ElectraX Vocaloidoffer offers a selection of presets with a focus on vocal and formant sounds.